Featuring: The Star-Spangled Banner / America, the Beautiful / America (My Country, 'Tis of Thee) / The Battle Hymn of the Republic. Arranged by Douglas E. Wagner. Performance Music Ensemble; Single Titles. 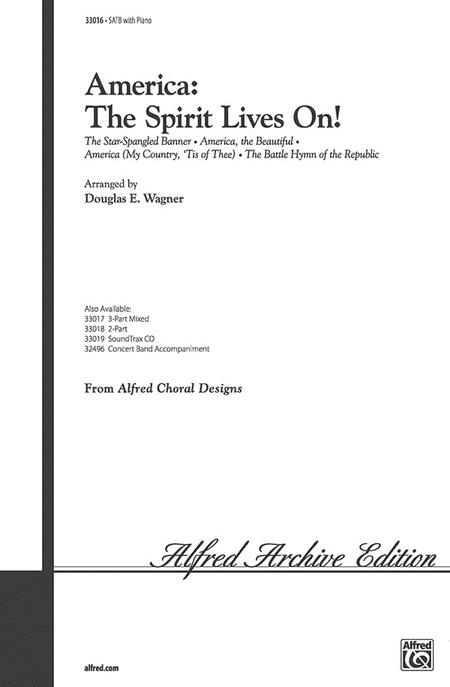 Alfred Archive Edition: Alfred Choral Designs. Form: Medley. 4th of July; Patriotic; Secular; Summer. Choral Octavo. 12 pages. Alfred Music #00-33016. Published by Alfred Music (AP.33016). 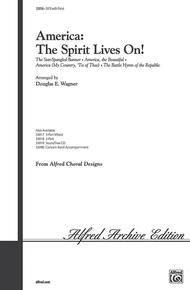 Preview: America, the Spirit Lives On!